2. Provide the Reading Makes Cents Reading Challenge handout to my students. • To be eligible for the $529 account drawings, participating students must read (or have read to him/her) at least five books from the list of more than 60 titles. • Students must then submit their completed Reading Challenge handout (complete with a parent’s information and signature) to Virginia529. ***TIP: You can collect all Reading Challenges from students and mail them in bulk to Virginia529. • Entries must be sent/postmarked by April 12, 2019. • From a drawing of all entries, two students in each region – a total of 14 winners – will be selected to receive an Invest529 account with an initial balance of $529. • Winners will be announced on or about May 10, 2019. 3. 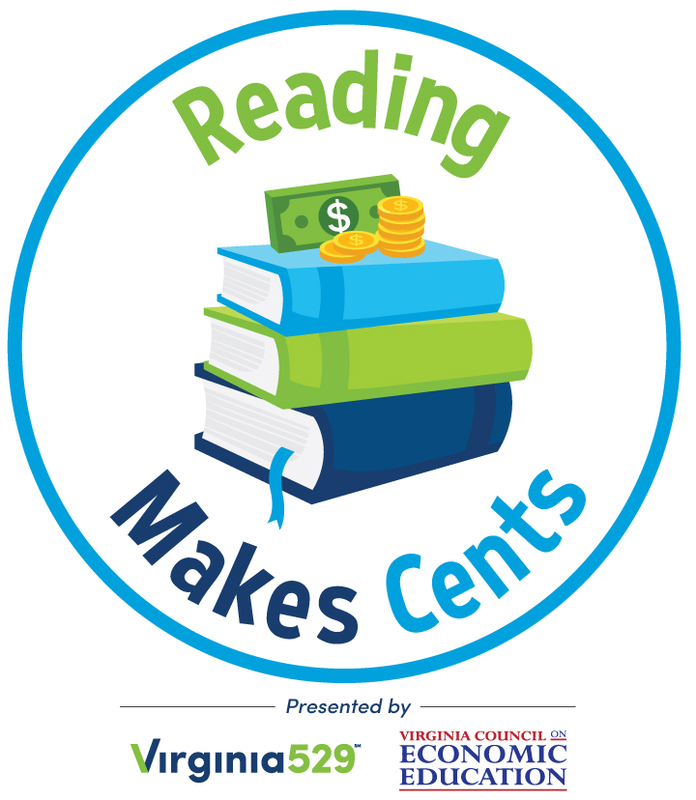 Promote the Reading Makes Cents program. This can be done in a variety of ways. Distribute information to parents and teachers, publish an article in the community newspaper, make a bulletin board, hold a competition for your students, or use another strategy to generate excitement. 4. Complete a post-program evaluation by April 26, 2019, to report on my school’s participation. Submitting the evaluation is a requirement for eligibility for the $500 book prize. Failure to complete the evaluation may exclude your school from receiving free books through the Reading Makes Cents program next year.